Delhi Fake Call Centres: Based on complaint filed by a representative of Microsoft India, a case was registered in the Cyber Crime Cell. Twenty-four people were arrested for allegedly duping customers of Microsoft by impersonating as the company's tech support experts, police said Friday. Based on a complaint filed by a representative of Microsoft India, Nripendra Kashyap, a case was registered in the Cyber Crime Cell, they said. 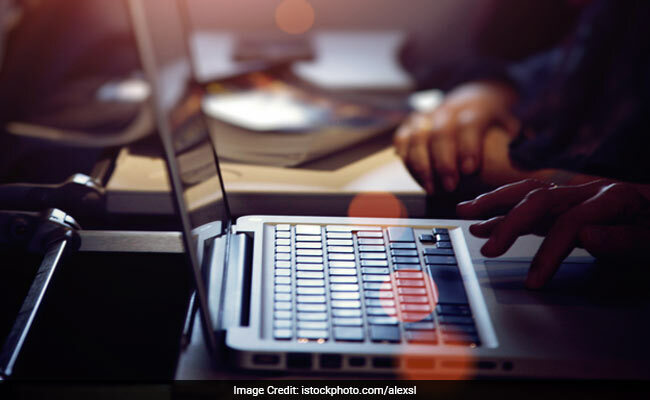 In his complaint, Mr Kashyap alleged that numerous illegal Delhi-based call centres were targeting their customers by fraudulently circulating pop-up messages that their systems were affected by malware and are compromised, police said. He also alleged the accused charged somewhere between 100 and 500 USD from their customers. Acting on his complaint, 10 such call centres were identified and subsequently, raids were conducted on the intervening night of Wednesday and Thursday at locations across Delhi, including Rohini, Janakpuri, Dwarka Mod, Kirti Nagar, Moti Nagar, Hari Nagar, Mahipalpur, Shahdara and Okhla Phase-II, police said. Cheques from customers in the name of Microsoft Tech support, call recordings, virtual dialers, Microsoft Tech support training material, call log transcripts detailing the conversation with victims of fraud, payment gateway records, servers were seized from these centres, they said. Subsequently, 24 people, including the owners and team leaders, were arrested, Anyesh Roy, Deputy Commissioner of Police (Cyber Crime), said. The companies - ABS World Pro Click, Rise Solutions, Pegasus, Printer Tech, Instant PC Care, Pc Patchers technology Pvt. Ltd. , ABS World, Pro Click services, ACS (Electronics & telecom e service), PAG Service Private Ltd, Star Enterprises, Tech Heracles, C-Zone - were found to be running the call centres at their premises during the raid, he said. They created fake websites and designed advertisements to confuse customers into believing they will reach the official support service, he added. Microsoft said they have received several complaints from customers, who thought that they were calling Microsoft, and ended up speaking with a tech support scammer, the senior official said. The accused even used web browser pop-up messages which appear while a consumer is using a web browser, the officer added. Once the accused established contact with the customer, he persuaded the victim to allow him to remote access his computer to diagnose the alleged problem on the system, he said. The accused then tricked the victim into believing the system has a serious virus threat and tried to sell a service, often a costly long-term subscription agreement with an assurance to fix their problem, the DCP said. The accused sometimes even accessed financial and identity data from the victim's computer while fixing the issue and even installed malware onto their systems, the police said, adding that the arrested persons were taken into police custody and further investigation is underway.